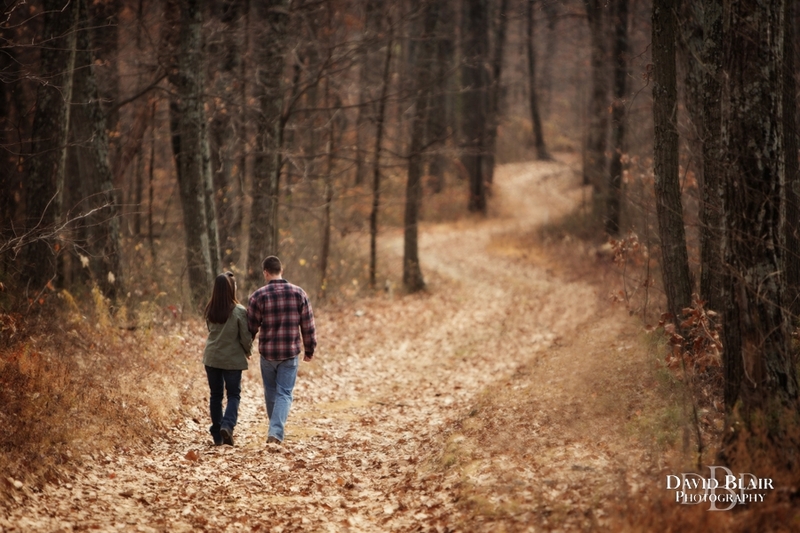 Here are a few from Alex and Kelly’s Southern Indiana Engagement Session. They are a really fun couple. I absolutely love how engagement sessions give me the opportunity to show more of who couples really are and it gives me as a Southern Indiana Wedding photographer a chance to get to know them better before their big day. Alex and Kelly had lots of ideas of how we could incorporate their personality and interests into their session. Some of their ideas they did not even tell me about ahead of time. For example, when we got into their car together I could not help but notice the pair of rather accessible handguns. For a moment it made me a little nervous as we were driving to a secluded forest where they easily could have dumped my body, but then I moved on realizing that my conspiracy theory was probably a bit far-fetched. They spend as much time as they can outdoors and handguns were simply part of who they are. They love shooting, hunting, playing with the dog and going on ATV rides and so that is what we did as we wondered around her family’s forest together. Well… we did not go hunting, but at one point I was standing in the dear stand to get a cool angle from above. They took a walk up a winding road. They played with the dog and even made time to just hang out and chat. Technically the only shooting going on was me shooting pictures, but we did manage to fit their guns into some of the photos and actually they are some of my favorite images from the session. Their personality and interest really shine through in these images. I’m looking forward to all they have planned for their wedding. LOVE the gun photo showing her engagement ring. Its something my husband would like. They look like they were a fun couple to photograph.